Benjamin Netanyahu’s stage performance about Iran seeking a nuclear weapon not only was based on old material, but evidence shows it was fabricated too, says Gareth Porter in this Consortium News exclusive report. Israeli Prime Minister Benjamin Netanyahu’s claim in his theatrical 20-minute presentation of an Israeli physical seizure of Iran’s “atomic archive” in Tehran would certainly have been the “great intelligence achievement” he boasted if it had actually happened. But the claim does not hold up under careful scrutiny, and his assertion that Israel now possesses a vast documentary record of a covert Iranian nuclear weapons program is certainly fraudulent. The laughable explanation suggested by Israeli officials to The Daily Telegraph– that the Iranian government was afraid the files might be found by international inspectors if they remained at “major bases” — merely reveals the utter contempt that Netanyahu has for Western governments and news media. Even if Iran were pursuing nuclear weapons secretly, their files on the subject would be kept at the Ministry of Defense, not at military bases. And of course the alleged but wholly implausible move to an implausible new location came just as Netanyahu needed a dramatic new story to galvanize Trump to resist the European allies’ strong insistence on preserving the Joint Comprehensive Plan of Act (JCPOA) nuclear deal with Iran. 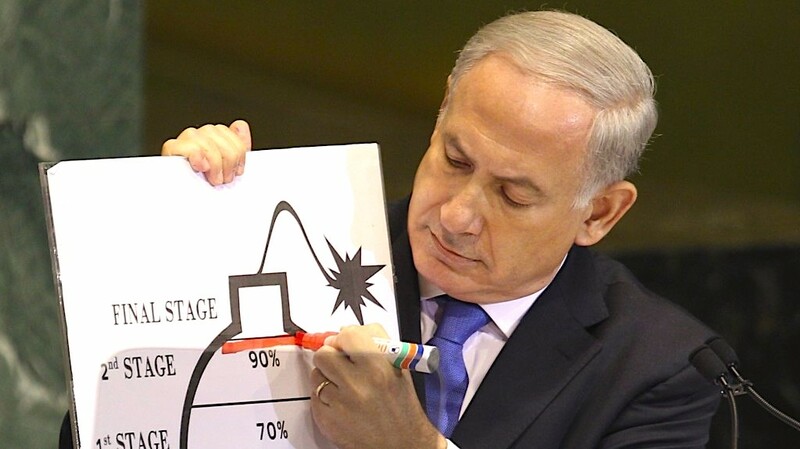 In fact, there is no massive treasure trove of secret files about an Iran “Manhattan Project.” The shelves of black binders and CDs that Netanyahu revealed with such a dramatic flourish date back to 2003 (after which a U.S. National Intelligence Estimate (NIE) said Iran had abandoned any nuclear weapons program) and became nothing more than stage props like the cartoon bomb that Netanyahu used at the United Nations in 2012.
disinformation campaign that the Israeli government began to work on in 2002-03. The documents to which Netanyahu referred in the presentation were introduced to the news media and the International Atomic Energy Agency (IAEA) beginning in 2005 as coming originally from a secret Iranian nuclear weapons research program. For many years U.S. news media have accepted those documents as authentic. But despite the solid media united front behind that narrative, we now know with certainty that those earlier documents were fabrications and that they were created by Israel’s Mossad. That evidence of fraud begins with the alleged origins of the entire collection of documents. Senior intelligence officials in the George W. Bush administration had told reporters that the documents came from “a stolen Iranian laptop computer”, as The New York Times reported in November 2005. The Times quoted unnamed intelligence officials as insisting that the documents had not come from an Iranian resistance group, which would cast serious doubt on their reliability. But it turned that the assurances from those intelligence officials were part of an official dissimulation. The first reliable account of the documents’ path to the United States came only in 2013, when former senior German foreign office official Karsten Voigt, who retired from his long-time position as coordinator of German-North American cooperation, spoke with this writer on the record. Voigt recalled how senior officials of the German foreign intelligence agency, the Bundesnachtendeinst or BND, had explained to him in November 2004 that they were familiar with the documents on the alleged Iran nuclear weapons program, because a sometime source—but not an actual intelligence agent—had provided them earlier that year. Furthermore, the BND officials explained that they had viewed the source as “doubtful,” he recalled, because the source had belonged to the Mujahideen-E Khalq, the armed Iranian opposition group that had fought Iran on behalf of Iraq during the eight year war. Mossad used the MEK repeatedly in the 1990s and the early 2000’s to get the IAEA to inspect any site the Israelis suspected might possibly be nuclear-related, earning their Iranian clients a very poor reputation at the IAEA. No one familiar with the record of the MEK could have believed that it was capable of creating the detailed documents that were passed to the German government. That required an organization with the expertise in nuclear weapons and experience in fabricating documents – both of which Israel’s Mossad had in abundance. El Baradei: Didn’t buy it. Bush administration officials had highlighted a set of 18 schematic drawings of the Shahab-3 missile’s reentry vehicle or nosecone of the missile in each of which there was a round shape representing a nuclear weapon. Those drawings were described to foreign governments and the International Atomic Energy Agency as 18 different attempts to integrate a nuclear weapon into the Shahab-3. Netanyahu gave the public its first glimpse of one of those drawings Monday when he pointed to it triumphantly as visually striking evidence of Iranian nuclear perfidy. But that schematic drawing had a fundamental flaw that proved that it and others in the set could not have been genuine: it showed the “dunce cap” shaped reentry vehicle design of the original Shahab-3 missile that had been tested from 1998 to 2000. That was the shape that intelligence analysts outside Iran had assumed in 2002 and 2003 Iran would continue to use in its ballistic missile. 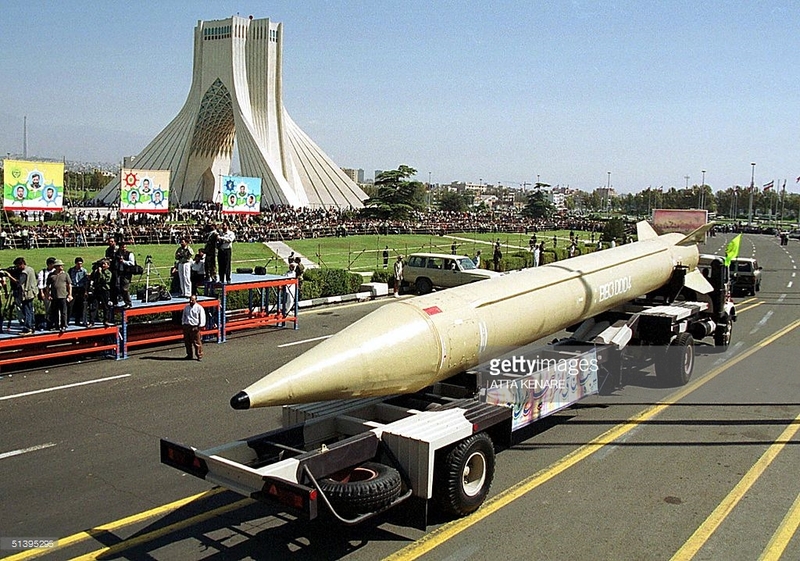 It is now well established, however, that Iran had begun redesigning the Shahab-3 missile with a conical reentry vehicle or nosecone as early as 2000 and replaced it with a completely different design that had a “triconic” or “baby bottle” shape. It made it a missile with very different flight capabilities and was ultimately called the Ghadr-1. Michael Elleman, the world’s leading expert on Iranian ballistic missiles, documented the redesign of the missile in his path-breaking 2010 study of Iran’s missile program. Iran kept its newly-designed missile with the baby bottle reentry vehicle secret from the outside world until its first test in mid-2004. Elleman concluded that Iran was deliberately misleading the rest of the world – and especially the Israelis, who represented the most immediate threat of attack on Iran – to believe that the old model was the missile of the future while already shifting its planning to the new design, which would bring all of Israel within reach for the first time. The authors of the drawings that Netanyahu displayed on the screen were thus in the dark about the change in the Iranian design. The earliest date of a document on the redesign of the reentry vehicle in the collection obtained by U.S. intelligence was August 28, 2002 – about two years after the actual redesign had begun. That major error indicates unmistakably that the schematic drawings showing a nuclear weapon in a Shahab-3 reentry vehicle – what Netanyahu called “integrated warhead design” were fabrications. Netanyahu’s slide show highlighted a series of alleged revelations that he said came from the newly acquired “atomic archive” concerning the so-called “Amad Plan” and the continuation of the activities of the Iranian who was said to have led that covert nuclear weapons project. But the single pages of Farsi language documents he flashed on the screen were also clearly from the same cache of documents that we now know came from the MEK-Israeli combination. 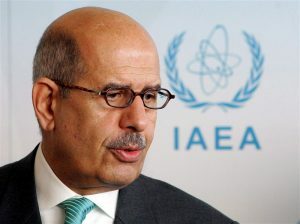 Those documents were never authenticated, and IAEA Director-General Mohamed ElBaradei, who was skeptical of their authenticity, had insisted that without such authentication, he could not accuse Iran of having a nuclear weapons program. There are other indications of fraud in that collection of documents as well. A second element of the supposed covert arms program given the name “Amad Plan” was a “process flow chart” of a bench-scale system for converting uranium ore for enrichment. It had the code name “Project 5.13”, according to a briefing by the IAEA Deputy Director Olli Heinonen, and was part of a larger so-called “Project 5”, according to an official IAEA report. Another sub-project under that rubric was “Project 5.15”, which involved ore processing at the Gchine Mine.” Both sub-projects were said to be carried out by a consulting firm named Kimia Maadan. But documents that Iran later provided to the IAEA proved that, in fact, “Project 5.15” did exist, but was a civilian project of the Atomic Energy Organization of Iran, not part of a covert nuclear weapons program, and that the decision had been made in August 1999 – two years before the beginning of the alleged “Amad Plan” was said to have begun. The role of Kimia Maadan in both sub-projects explains why an ore processing project would be included in the supposed secret nuclear weapons program. One of the very few documents included in the cache that could actually be verified as authentic was a letter from Kimia Maadan on another subject, which suggests that the authors of the documents were building the collection around a few documents that could be authenticated. The IAEA refused to reveal which member country had provided the document to the IAEA. But former Director-General ElBaradei revealed in his memoirs that Israel had passed a series of documents to the Agency in order to establish the case that Iran had continued its nuclear weapons experiments until “at least 2007.” ElBaradei was referring to convenient timing of the report’s appearance within a few months of the U.S. NIE of November 2007 concluding that Iran had ended its nuclear weapons-related research in 2003. And the “MPI” document fulfilled precisely that political function. Netanyahu pointed to a series of documents on the screen as well a number of drawings, photographs and technical figures, and even a grainy old black and white film, as evidence of Iran’s nuclear weapons work. But absolutely nothing about them provides an evidentiary link to the Iranian government. As Tariq Rauf, who was head of the IAEA’s Verification and Security Policy Coordination Office from 2002 to 2012, noted in an e-mail, none of the pages of text on the screen show official seals or marks that would identify them as actual Iranian government documents. The purported Iranian documents given to the IAEA in 2005 similarly lacked such official markings, as an IAEA official conceded to me in 2008. Netanyahu’s slide show revealed more than just his over-the-top style of persuasion on the subject of Iran. It provided further evidence that the claims that had successfully swayed the U.S. and Israeli allies to join in punishing Iran for having had a nuclear weapons program were based on fabricated documents that originated in the state that had the strongest motive to make that case – Israel.